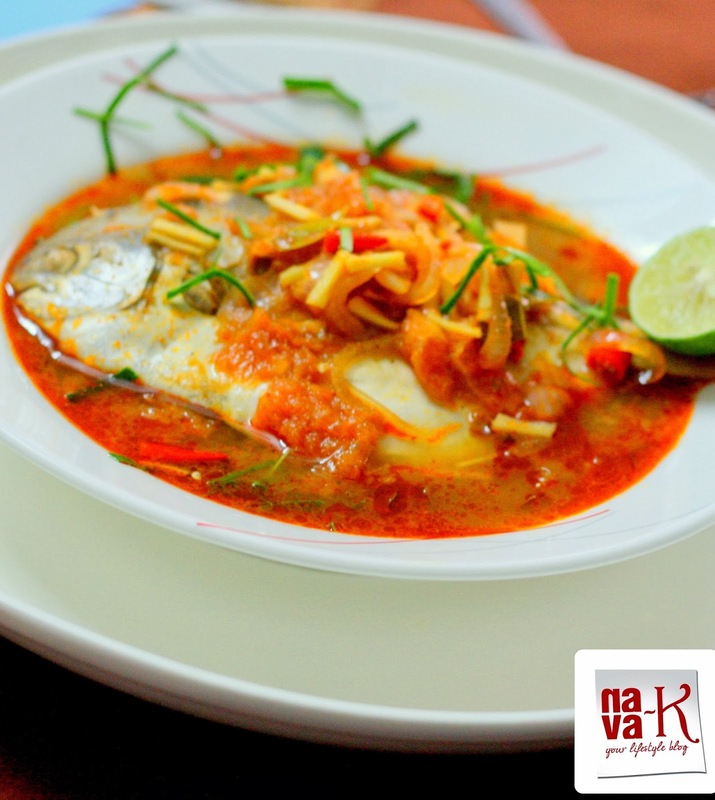 Tom Yam, can you believe it? Ready made tom yam paste or made from a stretch tom yam paste which by far is a food show stealer for Thai savory dishes. Of course if you are asking me and if you are asking me again about Thai food boldness and explosion of different role play of tastes, I sure can tell you (Thai Fish Noodle Soup & Thai Vegetable Curry). So much so, when tom yam paste is a concern, I sure have it at the back of my hands as well (Tom Yum Goong). Moreover, I think by now, you must be already tired listening to all those of my fish stories I have repeated over and over again (Tandoori Salmon, Bengali Fish Croquettes, Ikan Masak Kicap, Ikan Balado, Malabar Fish Curry & Unagi Kabayaki). So, what do we have to do for Tom Tam Steamed Fish? Steaming of course is most probably an easy cooking chore, but you still need to make the tom yam paste. Make the paste, and saute it alongside kaffir lime leaves, fish sauce, lime juice, birds eyes chillies (Thai Crispy Fish & Thai Green Fish Curry) and the rest of the ingredients as listed below, followed by tipping tom yam paste over fish which has already been steamed (Nyonya Steamed Fish, Vietnamese Steamed Fish, Thai Steamed Fish, Teochew Steamed Fish & Hong Kong Steamed Fish) with ginger. The outcome and food result? Absolutely tempting, inviting and color vibrant Tom Yam Steamed Fish (Chilli Soy Fish & Chilli Lime Fish). Sauté onion and ginger in oil. Pour 1/2 cup of water and the rest of the ingredients. Meanwhile, steamed fish with ginger slices till cooked. Once done, drain off the water in it. Pour the cooked paste over the fish. Optional: add sliced birds eye chillies on top. Yummm! I am going to buy the fish and make this dish tomorrow. I love tom yam..! so hot n spicy. You have plated that so well and looks delicious too..
yes i love tom yam.. my steam rice is ready to go with your dish. wow this one looks delicious! i think i can give this a try! will need to read the instructions many time though! lol...thanks for sharing! wow shiok! I like tom yum. The different taste stimulates the taste bud and opens up the appetite! chcek out my rexent one :Leibester Award n The Versatile Blogger award –Seven things about me.. The colours nearly jumped out of the screen! What an amazing dish...looks so delicious. Really something i must try out! Looks delicious. In the US we can get galangal, kaffir lime leaves and lemongrass just fine, also have tom yam paste here as well. 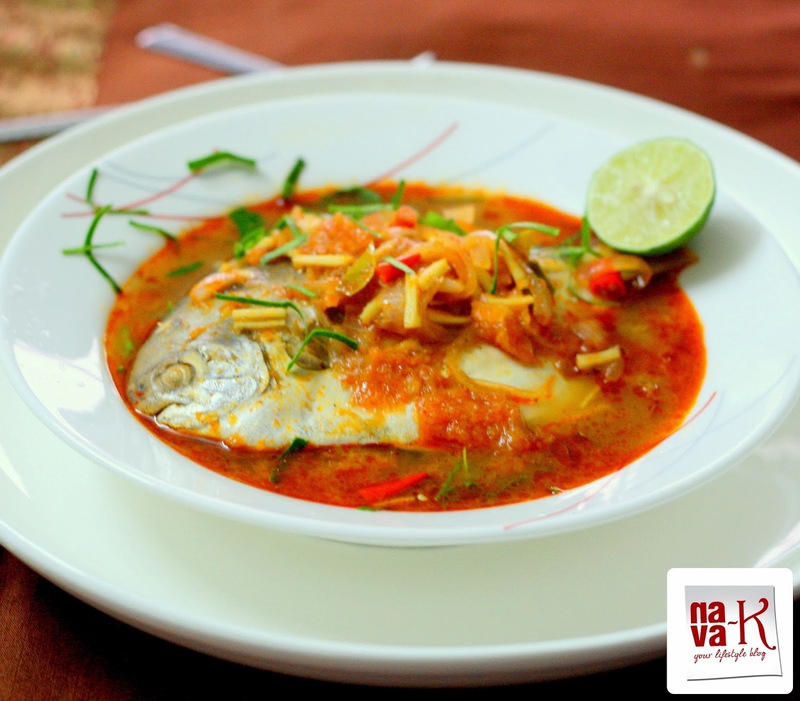 Looks yum, I have never tried tom yam Fish. I think making the paste at home is always better...tastes so muh nicer than the store bought ones. I had no idea I had all the ingredients for tom yam paste at home...in other words, your recipe is a huge help! I will try out this week. And looks gorgeous too! I made the Payasam the other day.but i was not able to taste it bcz i gave it to sai mandir.So when i try other time i will post a comment.But you can see a post about payasam i guess;) . This Fish look fabulous.Birds eye chilies .I dont know about it. Thanks for introducing new recipe. Visit this new world of Arab confectionery and Nature Lovers. making things at home is always better.. Thanks so much all my beloved foodie friends. Yin - The simplest as said will be the ready made paste. Maybe will think of another recipe, the most simplest as possible. Tom Yum has one of my favorite flavors. Although I am not a big fan of seafood, I love to make it quite often. This looks pretty darn delicious, my family would love it. 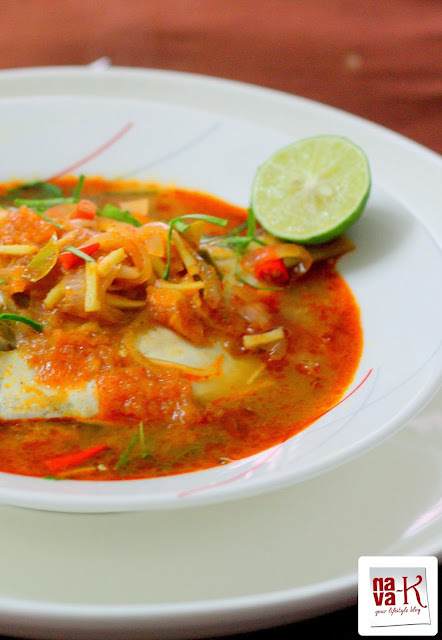 wonderful fish curry with tomyam paste, drooling here!! !